Are you passionately against war and violence, even though fighting for peace makes no sense? Do you believe in love without limits? Have you ever participated in a drum circle? How do you feel about incense, rainbows, and paisley? If the answer to that last one is, “Far out,” then hello there, Hippie! It’s been over half a century since the Hippie counterculture was born and yet the Hippie archetype grooves on, spreading flower power, peace, and patchouli-oil joy to the world. 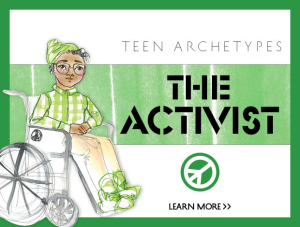 This archetype is the Advocate for peace and freedom to any living person, place, or thing. Hippies seek to free themselves of society’s rules and expectations. They believe “being” is more important than “doing.” They think power should go to the people instead of to governments, change can happen through passivity, communal living is natural and that alternative lifestyles should be not only tolerated, but embraced. The Hippie often fits well in the Rebel and or Spiritual family. Many Hippies are also in the Creative family, and they use the arts to express their views about society, disrupt people’s perceptions and force re-evaluation (which is just a fancy way of saying they use art to, like, blow people’s minds, man…). Mental expansion and altered states of consciousness are strong themes in Hippie life. Unfortunately, some Hippies use and abuse drugs to reach those altered states. Hippies are thrilled by the breathless moment when two hearts melt into one psychedelic swirl. Love with the Hippie type can be an ever-folding adventure, rich in movement, beauty, and carefree experience. However, being intensely serious about one person isn’t what the free love spirit is all about. Though Hippies are capable of romantic loyalty and may embrace traditional aspects of relationships, their other values sometimes overshadow or conflict with the idea of being seriously pinned down to one person. Even as Hippies rebel against the establishment and middle-class values, they often depend on those same establishments and values for their very survival. For example, many of the original Hippies in Haight Ashbury and Greenwich Village panhandled from middle-class working people for the money to eat and squatted empty buildings or couch-surfed for shelter. The stability of a centralized government is what enabled this group of free-thinking, largely unemployed people to rebel against it. Individual Hippies usually find it tricky to balance counter-culture ideas with the structure necessary to be an autonomous, self-sustaining person in a modern world that goes against so many of their dearly held beliefs. 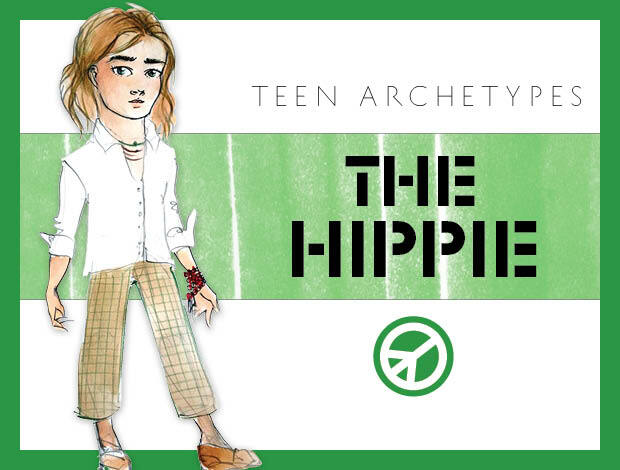 Young Hippies just out of school may find themselves in a dilemma of being dependent on their parents because finding the right kind of job can be a difficult process for one with so many bones to pick with society. Follow your devotion to humanity, beauty, and truth, and you will experience the peace you seek. Just know that it’s cool to be mindful and appreciative of parents and those who provide for you, even if you don’t completely agree with the way they think and live. Also, consider that sometimes it’s best to work to change things from the inside out instead of protesting from the sidelines.